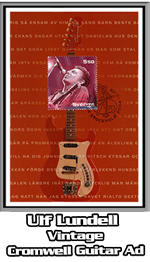 In 1962 there was a "NEW" Hagstrom model introduced to the guitar-playing public. The Hagstrom-Cromwell model had a very "STRAT-LIKE" shape with its two cut-aways and 4 or 6 in-a-line headstock. 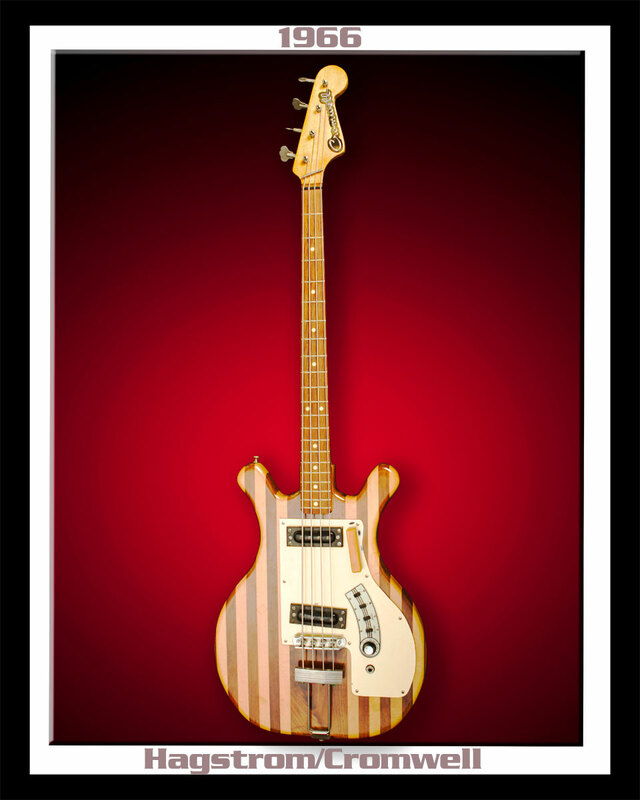 During this same time period... less then 200 hundred 2-pick-up Cromwell Guitar & Bass models were ever produced. Today, there aren't many of these "Rare Birds" left in existence. 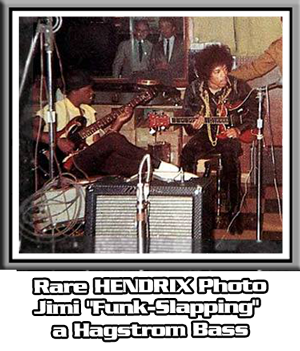 The Hagstrom advertising campaign touted that these Cromwell Guitar & Bass necks were... "the fastest in the world." These "NEW" Hagstrom-Cromwell models were exported from Sweden to Guild and Kent at various times during the early to mid-60's and only carried the Cromwell name. 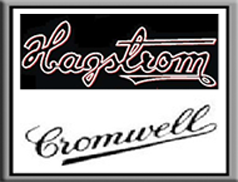 The "NEW"... referred to the fact that these Cromwell Guitar & Bass models had a striking difference between the main Hagstrom instrument line. Importers in the U.S., during this time period, wanted another model to sell so they chose the Cromwell Brand. These Hagstrom/Cromwell instruments were distributed by Guild between 1962 & 1963 and distributed by Kent from 1964-1966. 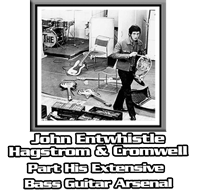 A great example is this 1966 Hagstrom/Cromwell Bass. 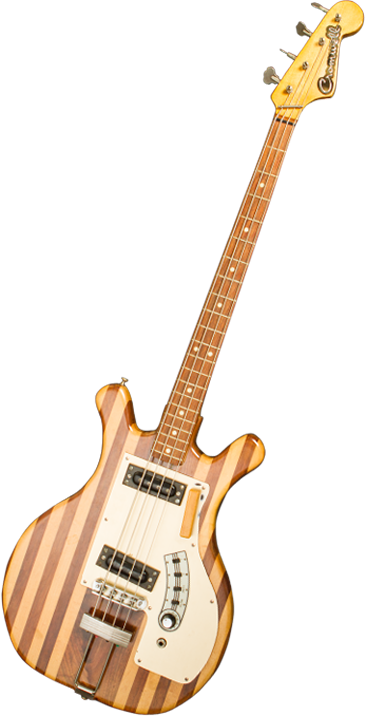 This Bass features a beautiful body-style using alternating Maple & Walnut wood, a double-horn cutaway with 2 pick-ups that are very reminiscent to a vintage '52 P-Bass coil system. It also shipped with those highly sought after covered tuners and Hagstrom's unique volume and tone switch controls. An interesting legal sidebar concerning the Cromwell name... the name itself was already taken by Gibson. This fact partly explains the very limited production of Cromwell instruments and ultimately helped to contribute to the short lived-life of this now extinct... "Rare Bird."